In Windows XP and Windows Server 2003, a keyboard is known as an input language. 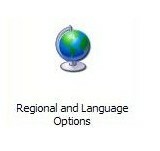 To add an input language, you first start in the control panel, where you can find the icon for Regional and Language Options (Figure 1). Click the icon to launch the dialog. Then choose the Languages tab in the middle (Figure 2). 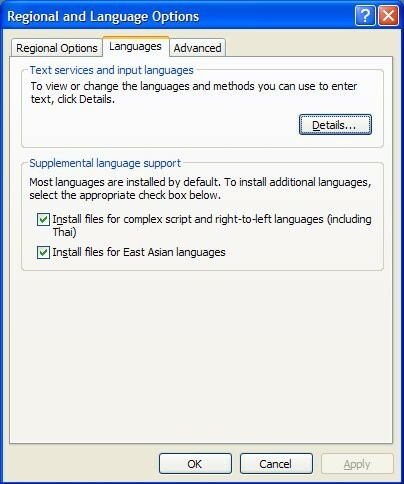 Click the Details button to launch the Text Services and Input Languages dialog (Figure 3). You will see a 'tree' listing of your input languages, where each main node is a language/region pairing and each branch underneath is a specific input method. From there, click the Add button to add an input language. 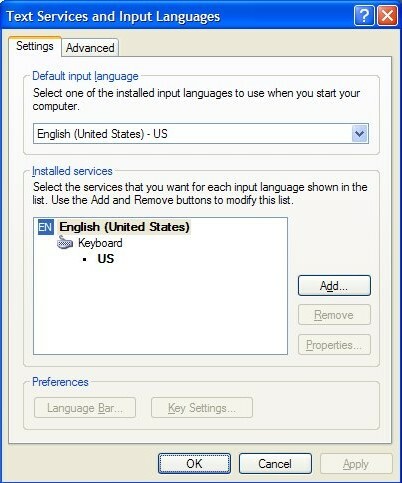 This will launch the Add Input Language dialog (Figure 4). Select the language you want the keyboard to appear under and then select your custom keyboard layout, then click OK. You will be returned to the Text Services and Input Languages dialog, and you will be able to see your custom keyboard layout added to the tree (Figure 5). Unfortunately, if you want to see the custom keyboard in the Language Bar, then things get a little more complicated. 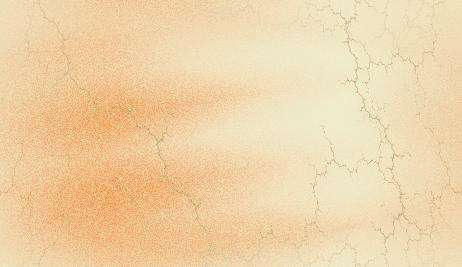 The reason is that the Text Services Framework makes an assumption that the user does not need to see the specific information about the exact type of input method if they only have one under a language. The upshot of this is that when you look at the language bar, it will only mention the language "Kannada" for the custom keyboard and not that it is the custom keyboard (as in Figure 6). Figure 6: The Language Bar does not always tell you what kind of keyboard layout has been chosen. The only way to work around this is to install another input method under the same language, loading the original Kannada keyboard at the same time as the custom one. 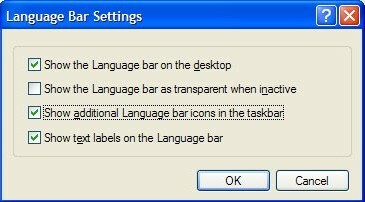 Once you do this you can click the "Language Bar..." button in the lower left hand corner of the dialog and it will bring up replica christian louboutin the "Language Bar Settings" dialog (Figure 7). Make sure the first, third, and fourth CheckBox controls are checked, and click OK.
Once all of this has been done, the language bar will show a slightly different UI (the one shown in Figure 8). In addition to the language dropdown, an input method dropdown will be present to switch between input methods. Figure 8: The Language Bar will tell you what kind of keyboard layout has been chosen, if you follow the above procedures. It is important to note that the extra step of adding an additional input method under the same language as the custom keyboard is only required if you want to see the custom keyboard listed layout in the language bar replica cartier , as you can in prior versions of Windows. If you only select the one custom keyboard, then you can trust that it is the one that will be used when you switch to the appropriate language.